Centre for Development of Advanced Computing, Mumbai Centre is recruiting individuals for the 91 vacant positions of Project Engineer. 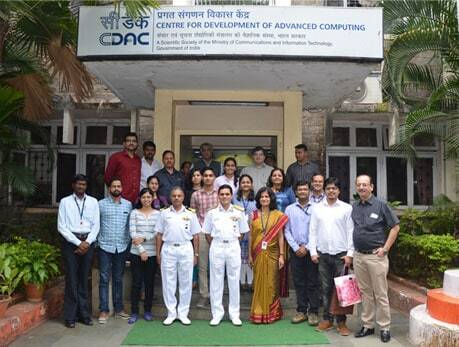 Through CDAC Recruitment 2019, Interested and capable individuals are invited to apply for said vacancies. Those who want to apply may submit their application form via online mode before the last date that is 26 April 2019 till 06:00 PM. While filling the application form must ensure that provided information must be free from error. If it is found that the details mentioned in the application form are wrong/false then such application will be rejected. So must fill the application as per the rules the complete guidelines to fill the application form for CDAC Recruitment 2019 is provided below. Post Graduation in concern fields, you can check post wise qualification details form official notification. Hit on the “careers” link visible at the top menu bar. Now press the “Current Job Opportunities” link. Thereafter a page will be opened where you are required to press the “Click here for details and apply online” link. Notification details will appear at your screen, go through the details carefully. Hit on the “Apply Online” for the post for which you want to apply. Upload documents and pay the application fee. Submit the form and print a copy of the same for future reference.